Essentially brand new Yamaha Viper. Bought new from Yamaha dealer, but haven't had time to enjoy it. Only 366 kms. 15x141 track with 1.6" lug. 4-stroke engine. Always stored in heated garage. Upgraded rear bumper to accommodate rear seat (also available). Awesome machine, and ready for the snow!! Mint condition 2014 Yamaha Viper LTX SE with only 1200 kms. 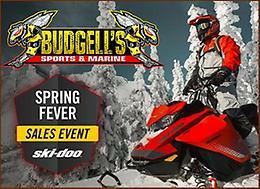 1050 cc 4 stroke motor with 137" track and 1.5" lug, electric start , reverse , hand warmers, factory cover and spare belt. Machine well taken care of and driven by mature driver. You wont find a used one in better condition than this. No trades. Call 699-3887 or email craig448@hotmail.com for more info. I narrowed my 2015 Viper XTX so I'm selling stock a arms and tie rods. Zero miles on them.